This stand alone digital video recorder allows users to record analog composite RCA video audio into digital AVI file format and saved into a micro SD or TF card of user choice. It is a full-featured and high performance DVR Recorder with no computer hookup required. Users can convert their old video tapes or camcorder tapes to digital format with just a click of the button. 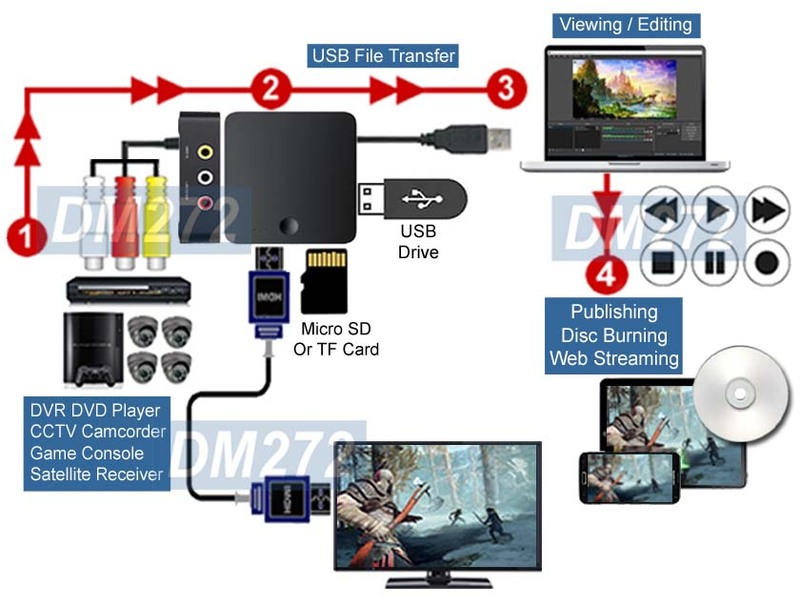 This recorder can also allow users to monitor what is recorded through its HDMI output and composite RCA A/V output to HDTV or video monitor while recording is performed at the same time. Smooth recoding speed at 9.3MB/mine or 0.56GB/hour. 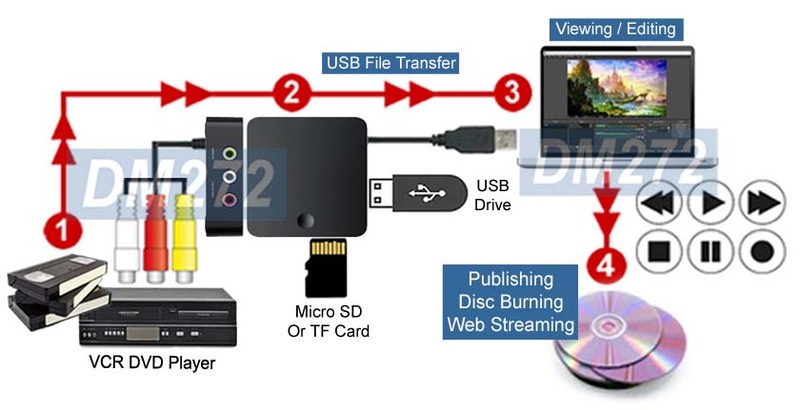 This digital video recorder can record standard composite video output from any analog source such as DVD/VCR player, video camera, surveillance DVR, etc and save the recording into a micro SD card. [Note]: The maximum size of the micro SD card supported is 16GB. Micro SD or TF memory card can only be in FAT32 or exFAT. NTFS format is NOT supported. Recording format is in AVI and recording quality at 480p or 720x480 pixels at 30fps for NTSC or 576i/720x576 pixels for PAL. 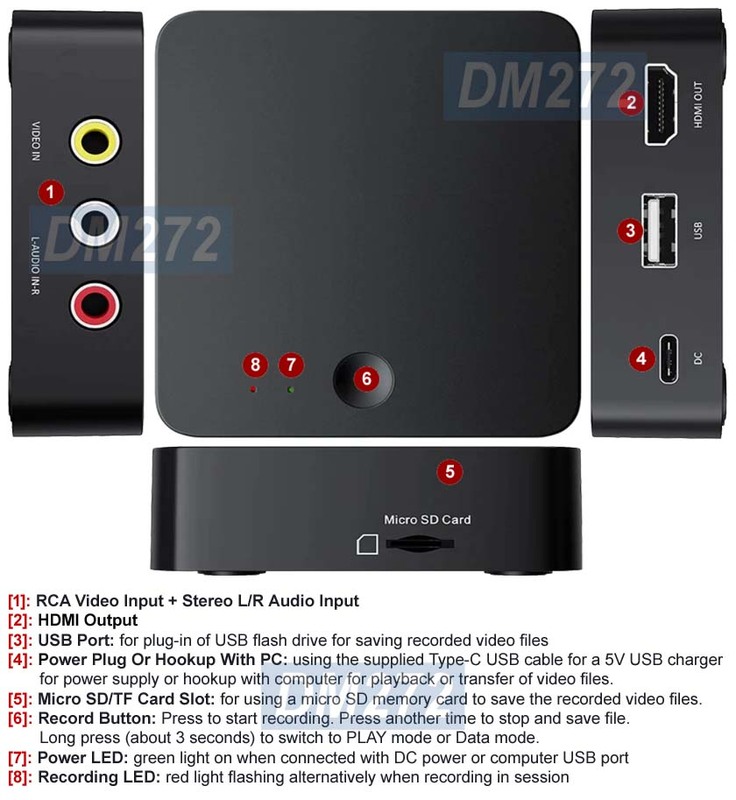 Any video game console with composite RCA A/V output such as PS2, PS3, Xbox one, Xbox 360 and Wii can be recorded through this device into the memory card. 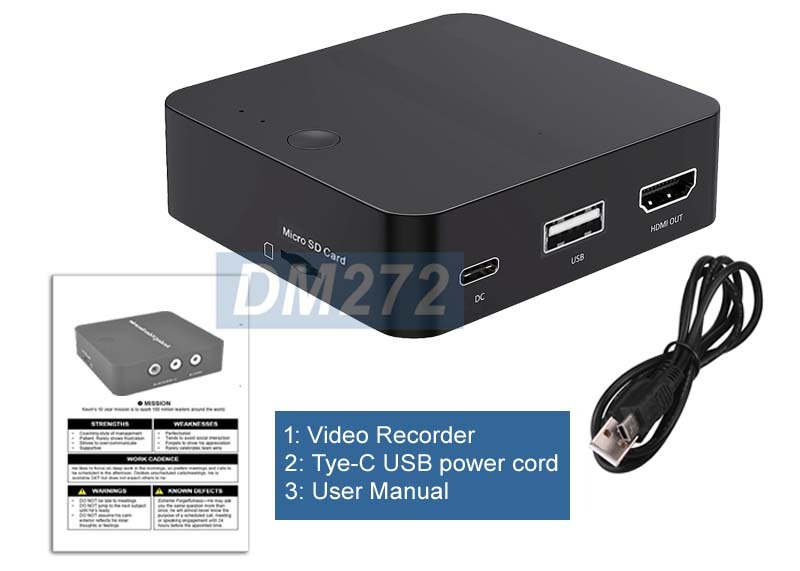 This video recorder is featured with a HDMI output and RCA video audio pass-through so users can see what is being recorded on TV or HDMI monitor in real time with no lags. Once recording is completed, users can play back the recorded file on any media player or computer or transfer footage into computer for further editing and other post production works for multimedia applications, disc production and visual enjoyment. This digital video recorder adopts the advanced analog to digital conversion so the captured video is error free with optimal color and clarity. 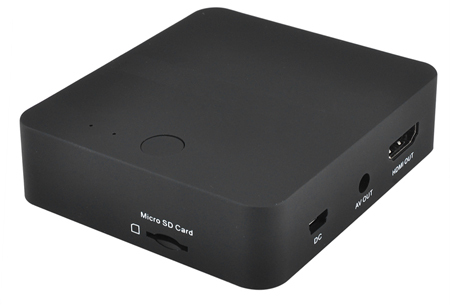 Stand alone digital video recorder with HDMI output and composite RCA video/aduio pass-through. Easy REC push button operation with no PC operation required. No driver and software needed. Recording analog video recording into digital AVI format. Adopts the advanced analog to digital 10-bit conversion so the captured video is error free with optimal color and clarity. Supports smooth recoding speed at 9.3MB/mine or 0.56GB/hour. Easy way to digitize analog video from VHS tapes, V8/Hi8 tapes or game play themes. Recorded video footage is saved directly into micro SD card or TF card up to 16GB. Featured with a HDMI output and RCA video audio pass-through so users can see what is being recorded on TV or HDMI monitor in real time with no lags. Play favorite video games while capturing your best moves. Supports worldwide NSTC and PAL video systems. Dual power supply by either USB bus powered or DC powered.